Familiars is perhaps the Antlers’ most affirmative release, but it's also their most complex to date, filled with moments of profundity and reflection. The term “achingly beautiful” is such a go-to phrase in cultural criticism that there is even a Twitter account dedicated to pointing out its overuse. As cliché as it is, “achingly beautiful” seems fundamental in describing the songs of a band like the Antlers. The trio’s music is sometimes so personal and so graceful that it can be heartrending to listen to. 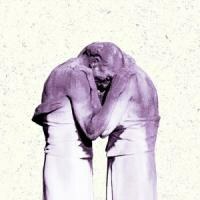 That the Antlers have made significant stylistic leaps with each release, from 2009’s Hospice to 2011’s Burst Apart and to new album Familiars, while never once failing a sense of blistering elegance is hugely impressive. Familiars is perhaps the Antlers’ most affirmative release, but it's also their most complex to date, filled with moments of profundity and reflection. To some, its lack of immediacy may make Familiars feel as out of time as reading verse poetry by a stream, but listeners who remain patient will likely end up enlightened and fulfilled. The album’s first song and lead single, “Palace”, eases the listener into the album’s world. The song feels like a direct outgrowth of the band’s 2012 EP, Undersea, with its slowly unfolding power, but it soon becomes apparent that Familiars is going to be a much jazzier ordeal. Although synthesizers and keyboards have a presence on all of the songs, they have taken a backseat to multi-instrumentalist Darby Cicci’s trumpet, a gamble that pays off nicely. The emphasis on soulful brass, as well as a couple of frontman Peter Silberman’s sparkling clean guitar lines, imbue the songs with a throwback quality while still feeling present, a move which lends very nicely to Familiars’ theme of entering into a conversation with an embodiment of you that has experienced your past as well as your future. Familiars’ second track, “Doppelganger”, serves as a fine example of the level the Antlers are working on here. It’s another deliberately paced song, gray and smoky in the places where “Palace” is light. Most startling is Silberman’s choice of briefly abandoning his falsetto for a much lower, crawling, register that still holds a lot of drama. In general, Silberman’s vocals are one of Familiars’ greatest assets, with his varied deliveries benefiting each song’s story and never overpowering the arrangements. With songs like “Revisited”, “Surrender”, and “Refuge” almost adopting melody lines similar to those of old standards, it would be so easy for a lesser singer to do variations on crooning for nine songs, but Silberman’s singing is far too heartfelt for that nonsense. It would likewise be easy to describe his singing as operatic or theatrical, but all vocal decisions feel as though they are coming from a pure, uncalculated place. Likewise, songs that require a more uplifting angle are filled with a naturalism which makes the happiness feel hard-earned and sincere. “Parade” is perhaps the most immediate moment on Familiars. It’s bittersweet and optimistic and brassy all at once, and all the emotions it evokes and the images it conjures have yet to cheapen with repeat listens (and I’ve easily listened to “Parade” 20 or so times by now). It’s hard to really describe its triumph out of context, as the three tracks which precede it, “Intruders”, “Director”, and “Revisited”, make up the “heavy emotions” portion of Familiars. Despite its bobbing rhythms, “Intruders” the lines, “I’ll beg for answers to all my questions / like, ‘what happened’?” are presented so baldly, you may feel a small corner of your heart breaking and crumbling. “Director” has the cinematic atmospherics its title requires, with a climax that gives a sensation of Silberman calling out to his other self in the fog. “Revisited” is funereal, but has another nice build and, again, its solemnity makes “Parade” -- as well as closing tracks “Surrender” and “Refuge” -- shine all the more. After listening to Familiars for two weeks straight, I spent a week away from it to see how its appeal held up after emotional investments faded. The ability to become lost in Familiars had only grown in that time, something which bodes well for both its running as one of 2014’s strongest releases and my argument that the album rewards patient listening. However, it also means that a silly catchall such as “achingly beautiful”, or even saying the Antlers’ music is deliberate and sad, threatens to box in compositions that are far more versatile than those terms suggest. So, if you listen to Familiars -- and you probably should because it is very great -- it is crucial to do so with an open heart and an open head. Your reaction may not be as strong as mine, but your feelings will have benefited all the same.